・You will learn the JLPT level N1 Kanjis and words which are grouped according to their similarities (for example, their radicals),and the difficult kun-readings. 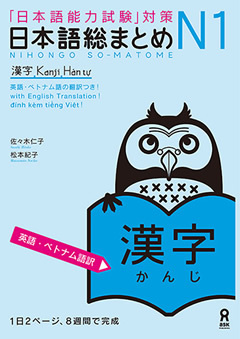 ・You will learn approximately 2,300 Kanji words in 8 weeks. ・You will gain Kanji knowledge useful not only for the test but also for inputting data to a computer.